I’ve published several workbooks and a few textbooks in both print and Kindle, and I’ve written a few detailed articles about using Amazon’s free Kindle Textbook Creator. Today’s article adds something new: I’m using my experience to compare three different methods of formatting a textbook or workbook as a Kindle eBook. Let’s suppose that you wrote a textbook or workbook using Microsoft Word and have already formatted it as a print-ready PDF, and now you wish to convert it to an eTextbook for Kindle. Simply run your PDF through Amazon’s free Kindle Textbook Creator. Like magic, in a few moments you will have a KPF file that you can preview within the Kindle Textbook Creator and then upload to KDP. This is by far the most convenient option for the author or publisher. However, a book that looks good on paper and runs through the Kindle Textbook Creator is often inconvenient to read, especially on smaller screens, and the eTextbook won’t be available across all devices. If the customer must pinch-and-zoom frequently to read the text, this will become tedious quickly. Modify your Word file and create a new PDF file optimized for the Kindle Textbook Creator. This isn’t as convenient for the author, but it’s not too inconvenient, really. Once you convince yourself that it’s worthwhile and get started, it isn’t that bad. The benefit is that it can improve the customer’s reading experience. Back in Word, you can set all of your page margins to zero, since that just wastes space on a Kindle device. As a result, it makes the text slightly easier to read. If it’s viable, you can consider significantly increasing the font size and reformatting the pages to accommodate the change (as it will alter the page layout significantly). If the text is large enough, customers may be able to read your eTextbook on more devices without using pinch-and-zoom. Also, if you have images that include text, see if it may be viable to make the text larger in those images. Create a reflowable eTextbook. Most Kindle eBooks are reflowable. The few exceptions include fully illustrated children’s books, comic books, and richly formatted eTextbooks. All novels and text-heavy nonfiction books are reflowable eBooks, meaning that the customer can adjust the font size, font style, and line spacing. If it’s formatted well, this can make for the optimal reading experience. The main reason that eTextbooks are often formatted as fixed-format rather than reflowable format is that it’s much more convenient to run a PDF through the Kindle Textbook Creator than it is to reformat a textbook as a reflowable eBook. Plus, a richly formatted textbook presents more formatting challenges: If you don’t navigate the reflowable Kindle design challenges well (including bullet points, equations, callouts, sidebars, multiple columns, tables, figures, and page layout), any formatting mistakes can make the result worse than what you would get with the Kindle Textbook Creator. In my first example, I will compare options 1 and 3. 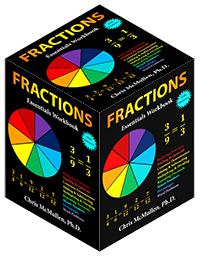 My most recent math workbook, Fractions Essentials Workbook with Answers, includes 20 chapters and 256 pages. Each chapter begins with a concise review of essential concepts and fully-solved examples with explanations. There are several equations that wouldn’t format well in Kindle without turning them into pictures. Every chapter ends with a set of practice exercises. 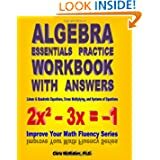 At the back of the print edition is an answer key with the answer to every problem plus intermediate steps, hints, and explanations. This definitely qualifies as a richly formatted textbook. I ran my print-ready PDF through Amazon’s free Kindle Textbook Creator. I converted my Word document into a reflowable eBook using the same methods described in my Word to Kindle Formatting Magic book (to be published later in February, 2018, hopefully). I also moved the answers to the end of each chapter instead of putting them all at the back of the book. This makes it easier for the reader to find the answer key in the eBook (and I also added each chapter’s answer key to the active table of contents). After creating both versions of the eTextbook, I decided to publish the reflowable version. Above, you can see two sample pages of the preview of the KPF file shown in the Kindle Textbook Creator. It was quick and convenient for me to make. The pages are well-defined. Sometimes, it’s nice to control the page layout and make content “fit” on a page. An entire problem set or example can be made to fill all of the space on a page. 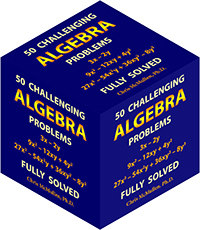 I can refer to figures, equations, or sections by page number (like “see page 94”). The Look Inside would look fine on Amazon, basically showing how the book looks on printed pages. It’s inherently much harder to read. On many devices, some of the content requires using pinch-to-zoom, which would be inconvenient for customers. Customers can’t adjust the font size, font style, or line spacing. This is the main limitation with trying to make a fixed format book easily readable. The eTextbook wouldn’t be available on all devices. This limits your audience (and occasionally upsets customers). It’s not as easy to make hyperlinks work. Plus, the last time I tested internal hyperlinks (like for an active table of contents), the hyperlinks didn’t work in the published eTextbook. Device navigation does work though (and you can enter the table of contents for device navigation directly in the Kindle Textbook Creator). Unfortunately, a few customers are used to finding a page of clickable hyperlinks, and either don’t know how to find device navigation or don’t want to do that (or have an older device). Above, you can see two sample pages of the preview of the converted MOBI file in the KDP previewer. It’s easy to read on any device with any size screen. For any equation that was too complex to simply type on Kindle, I reformatted the equation as a picture so that it would be easily readable across all devices (you can see the large equations in the picture above). Customers can adjust the font size, font style, and line spacing to their liking. You can see this in the picture below, where I show the effect of adjusting the font size. The customer can’t do that when you use the Kindle Textbook Creator. It’s available on every device, so any customer who owns a Kindle device, Android tablet, Android phone, PC, laptop, Mac, iPad, or iPhone can read the eTextbook. Creating all kinds of hyperlinks, internal and external, is easy. Both kinds of hyperlinks work, and you can easily make an active table of contents with clickable hyperlinks. A few pictures show in color on devices with color displays. Since I took the time to reformat all of the pictures for Kindle, I added color shading to the pie slices. It took much more time to format the eBook (but it wasn’t insurmountable). Depending on the display size and the reader’s choice of font size, font style, and line spacing, you never know when a page break may occur. This can begin a new example at the bottom of a screen, or it can leave a lot of blank space when a large figure doesn’t fit on the current page, for example. Overall, I think it came out well in many cases, but this is the main design challenge with the reflowable format: You can’t control the pagination or page layout nearly as well as you can with fixed format. Since I made equation pictures large enough to read on any device, in the Look Inside feature at Amazon, and with the default font settings of certain devices, I don’t like how the equation pictures have text that is much larger than the font size. As you can see below, in some cases it is more pronounced than others: It varies with the customer’s choice of font size. But I felt that easy readability on any device was important: That was a major benefit of choosing the reflowable layout. Simply run your PDF through Amazon’s free Kindle Textbook Creator. Modify your Word file and create a new PDF file optimized for the Kindle Textbook Creator. This time, instead of adding sample pictures of each case to my article, I will include a link to an example at Amazon. For Option 3, you can click the Free Preview button in the picture. Unfortunately, for Options 1 and 2, this button doesn’t work in Amazon’s Free Preview picture. However, you can view the free preview by clicking the hyperlink below the figure to visit Amazon and then viewing Amazon’s Look Inside. Note that the Look Insides of Options 1 and 2 look fine when you view them on a PC, laptop, or other device with a large screen. However, if you read these eBooks on most Kindle devices or the actual eBooks with one of Amazon’s free reading apps, then the text for Option 1 is much harder to read. The text for Option 3 is easy to read on any device or app, though it doesn’t come out as good in the Look Inside. That’s one of the misleading quirks of Amazon’s Look Inside feature displaying a Kindle eBook as a scrollable webpage on a PC or laptop display. It’s surprising that they don’t show all Kindle Look Insides for reflowable eBooks using Page Flip or the way that you see Option 3 when you click the Free Preview button. While that isn’t perfect, it portrays a reflowable eBook more realistically. Option 1: Simple PDF conversion using the Kindle Textbook Creator. For the following book, I took the print-ready PDF and simply ran it through the Kindle Textbook Creator with minimal changes. This is the most convenient option for the author, but it’s not as easy for the customer to read. Option 2: Optimized Word file for the Kindle Textbook Creator before creating a PDF. For the following book, I zeroed the page margins, changed the page size and aspect ratio, and significantly enlarged the font size. After this, it took some time to improve the page layout. Then I ran the new PDF file through the Kindle Textbook Creator. The result is easier to read across all devices without having to pinch-and-zoom. However, as with all fixed format eBooks, the customer can’t adjust the font size, font style, or line spacing, and with the Kindle Textbook Creator, the eTextbook isn’t available across all devices and apps. Option 3: Converted Word file to reflowable format. For the following book, which I just published two days ago, I invested a great deal of time converting my Word document to a reflowable Kindle eBook (following the instructions in my book, Word to Kindle Formatting Magic, to be released later in February, 2018, hopefully). It wasn’t as convenient for me, but the result is readable across all devices, the eBook is available across all devices, and the customer can adjust the font size, font style, and line spacing. Plus, there is an active table of contents with clickable hyperlinks that work. The KENP per-page rate for Kindle Unlimited held steady in April, 2017. The KENP per page rate for April, 2017 is $0.00457, which is nearly identical to the rate for March, 2017, which was $0.00460 per page. The KDP Select Global Fund also held steady in April, 2017. The Global Fund is $17.8M for April, 2017, which is slightly up from March, 2017, for which the Global Fund was $17.7M. The KENP per-page rate for Kindle Unlimited dropped a little in March, 2017. The rate per page is $0.0046 for March, 2017, which is down a little from $0.00497 for February, 2017. The KDP Select Global Fund is $17.7M for March, 2017, which is up nearly $1M from $16.8M in February. So although the KENP per-page rate took a slight dip, Amazon poured an extra $1M into Kindle Unlimited royalties compared to February. This shows that many people are reading pages in Kindle Unlimited, and the program appears to continue to grow. At this rate, Amazon will pay $200M in royalties just for Kindle Unlimited (and Amazon Prime) pages read for KDP Select books. That’s on top of royalties for sales, on top of the All-Star bonuses, and on top of whatever Amazon pays traditionally published books that participate in Kindle Unlimited (or Amazon Prime borrows, or both). $200M shows that Kindle Unlimited is a significant market. Curtains from ShutterStock. 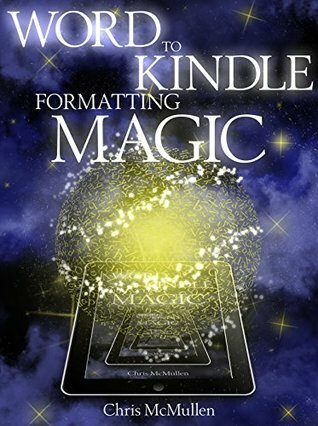 Kindle Formatting Magic cover designed by Melissa Stevens. Amazon KDP launched a new free app called Kindle Create, which provides a simplified conversion process to format a Kindle e-book from Microsoft Word. You can check it out here: https://kdp.amazon.com/help/topic/AIEDQZJ8TVWZX. Available for both Windows and Mac. It’s not foolproof. And it won’t do everything that you can dream of. But if you’re looking for a simplified conversion process, and if your formatting isn’t too complex, this tool may be worth exploring. If you visit the Kindle Create webpage, be sure to click the link called, “So how does it work?” You can find some important information there. Although Amazon KDP has other free e-book creation apps (the Kids’ Kindle Book Creator, the Kindle Textbook Creator, and the Kindle Comic Creator), this new app (Kindle Create) is the first that would be appropriate for an e-book like a novel (or a nonfiction book with a few pictures). Under “Beta Limitations,” it states that you may not be able to edit lists or tables. If these display fine in the previewer (for all devices), that’s okay. But if you decide you need to edit a list or table, you need to go back to Microsoft Word and start over with the Kindle formatting later. So if you have lists or tables, I would first open the file in the previewer to see if they format well enough for you in the previewer on all devices, and if so, I’d proofread those lists and tables to make sure that you’re 100% happy with them before you do anything with your file in Kindle Create. Images are automatically placed as block images, and you can’t crop, reposition, or even delete them. So if you have any images, you want to be preview these right away and make sure that you’re content with them, or else go back to Word and get them right before proceeding with Kindle Create. If you decide you need to edit or delete an image, you have to go back to Word and then start all over with Kindle Create. (If you have a very rich file like a textbook, or if you have an illustrated children’s book, check out the Kindle Textbook Creator or the Kindle Kids’ Book Creator.) If an image displays larger than you would like, add padding to your image (add white space border around the picture for JPEG, or a transparent border for .GIF format) by doing this with image software of your choice (and then go back to Word and change out your image—before doing anything in Kindle Create). Most images you probably want to display large with no padding, but if you have a little logo and it displays much larger than you had in mind, you might pad that, for example. Hyperlinks should be preserved, but can’t be edited. Test these out in Word first, then test them out in the previewer after loading in Kindle Create to make sure that you’re happy with the links before you do anything else in Kindle Create. Once your file is loaded (and you’ve approved or corrected your chapter titles), place your cursor in any paragraph. Once your cursor is positioned in a paragraph, you’ll see options on the right which are otherwise hidden. There are two tabs on the right panel. One tab is called Elements, and assigns paragraph styles for different types of paragraphs in your book. This is how Kindle Create simplifies the paragraph style process (which causes tons of confusion and leads to many e-book formatting mistakes when a Word file is directly uploaded to KDP). The other tab is called Formatting, which lets you create a modified paragraph style or format a portion of a paragraph (rather than the entire paragraph). If you want to format just a part of a paragraph (like making one sentence in bold), highlight the text and apply the formatting changes. To make a whole paragraph have a different formatting style than other paragraphs, first associate one of the preset styles with the paragraph (whichever you feel is the closest match), with your cursor already in the paragraph to begin with (but with nothing highlighted), and then apply formatting. It will change the name of the paragraph style to include a + sign (like Body+ instead of just Body). If you change your mind on the paragraph formatting changes, press the Clear button. Kindle Create includes its own previewer. You may also wish to download the Kindle Previewer 3.0 that emulates books with enhanced typesetting. It’s available here: https://kdp.amazon.com/help/topic/A3IWA2TQYMZ5J6. After I’ve played around with it enough times, I might post more information about Kindle Create in a future article on my blog. We’ll see. There are so many new features at Amazon. Another of them is Amazon Author Insights: http://amazonauthorinsights.com. 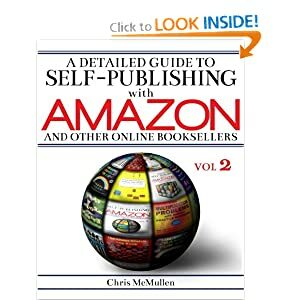 You can find some helpful articles there from successful indie authors, experts, and even from Amazon. Check it out. The per-page rate for Kindle Unlimited nearly returned to half a penny per page in February, 2017. The KENP per-page rate is $0.00497, which actually rounds to half a center per page. The rate is up a little from January’s rate of $0.004754. The KDP Select Global Fund dropped from $17.8M in January to $16.8M in February, which returns it what it was back in December, 2016. It’s typical for Kindle Unlimited to pay less per page (or going back further, per book) in January and for the rate to return somewhat in February, and it’s also typical for the Global Fund to see a peak in January, which it did again this year. Through the end of 2017, the per-page rate finished strong, holding above half a penny per page for the last few months, and the Global Fund rose consistently throughout the year.